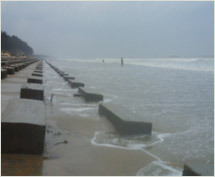 The sea-erosion problems through the entire length of 350 kms. cost-line of the State poses a threat to the landmass. 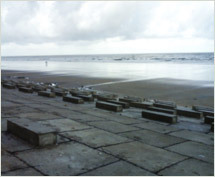 Anti-sea-erosion works at Digha for a length 1.5 km have been completed in phases. Another 3.5 km is being taken up. 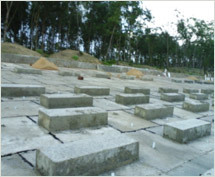 A scheme for protection of coastal areas of West Bengal in the districts of 24 parganas (north), 24 parganas (south) and Midnapore has been framed to form a part of National Coastal Protection Project, taken up by the Central Water Commission GOI. Total coastal protection proposed in West Bengal project is 36.5 km of sea facing embankments and 10.75 km of Beach Protection. The estimated cost of these works is Rs. 254.80 Crores (as estimated in 2001).